BlackRock (BLK) doesn't want investors to worry about banks. 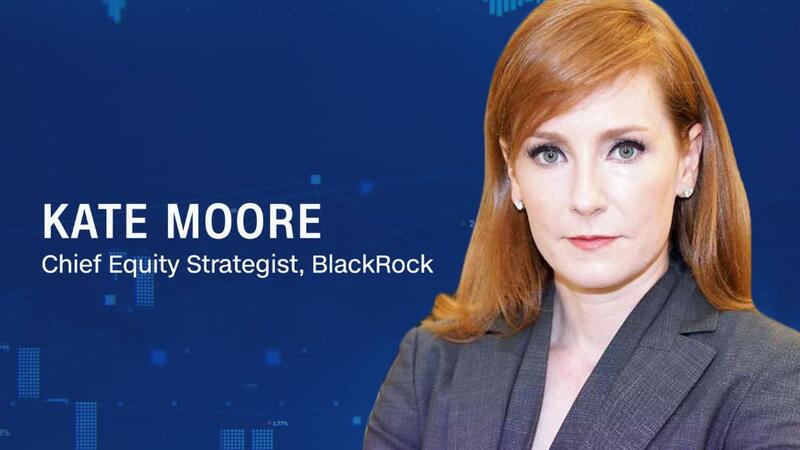 "There's a lot of fear out there ... that we're reaching peak earnings," BlackRock's chief equity strategist Kate Moore told Maggie Lake on "Markets Now" on Wednesday. "That's not our view," she added. "I think we'll see continued improvement throughout 2018 and 2019 ... and the banks will benefit from a better growth environment as well as a higher wage environment." "There's much more good to come," she said. Moore thinks that rising rates, plus fewer regulations from a Republican-controlled government, mean US banks are well-positioned for success. "We should expect slow, steady, gradual, well-telegraphed interest rate hikes," she added. The strategist also warned against giving up on technology stocks. "It's really tempting to not want to invest additional money into technology at this point, simply because it is such a huge percentage of the overall market cap," she said. "The contrarian in me wants to say, let's step away from technology. Unfortunately, the fundamentals are outstanding for the sector." Moore spoke to Lake one day after President Trump decided to pull the United States out of the Iran nuclear deal and reimpose sanctions. The move will probably push already rising oil prices higher, according to energy industry insiders. Oil prices had been increasing because of production cuts by OPEC and Russia, coupled with instability in Venezuela. Crude oil prices swung wildly on Tuesday, eventually climbing back above $70 a barrel later in the day. On Wednesday, the price of crude hovered around $71 per barrel. Moore said that it is difficult to forecast the price of oil, making energy companies a safer bet at this point.